We really have to understand what candidiasis is to be able to attack it at the root and most importantly to avoid its appearance. Candida is a yeast that normally lives inside our intestinal flora . The intestinal flora is formed by microorganisms that regulate the food that reaches the intestine, cleanse us and absorb nutrients. This yeast is responsible for destroying toxins from the body and digesting those harmful substances that enter the intestine. Antibiotics kill bacteria, kill good ones and kill bad ones . When a person is sick due to some bacteria, their doctor orders them to take an antibiotic. But what happens then? The antibiotic destroys the bad bacteria and also the good ones . There is a widespread error among people who self-medicate and is to take antibiotics to a virus infection. It must be made clear that the antibiotic is not to kill viruses , but bacteria . Many people who have colds or who have colds take antibiotics. This is not worth anything. The word antibiotic means anti-life. The antibiotic destroys the millions of beneficial bacteria in the intestinal flora. A person who has abused antibiotics a lot during his life, or at least for a long period, practically has a very damaged intestinal flora, very weakened … without life. Products: 1 Alkimia bottle + 2 algasol bottles. Before breakfast: 1 Algasol capsule. Before lunch: 1 Algasol capsule. 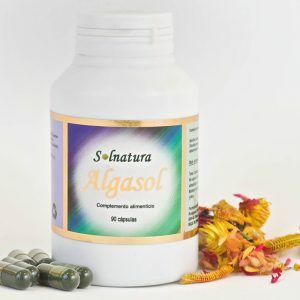 Before dinner: 1 Algasol capsule. 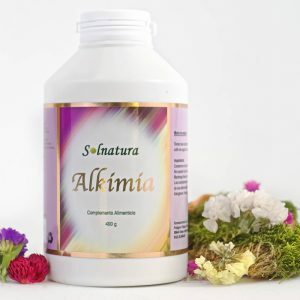 Alkimia: 2 dessert spoons dissolved in 1 liter of water. Shake before drinking and drinking throughout the day. Or A glass of water with half a spoon before each meal. Price: 144 pounds + shipping + (Supplement Consultation 40 min. 60 pounds optional). 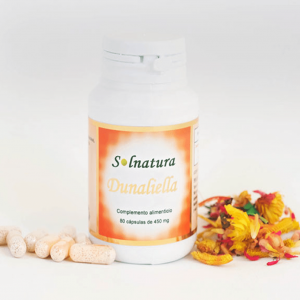 Our program is based in different nutraceutic products that will help you to combat “Candidiasis”. You can get a 40 minutes consulting from a specialist in natural advices.